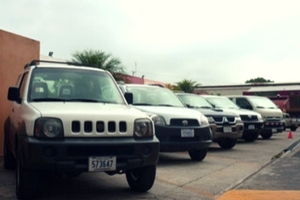 Need help reserving a rental car for your Costa Rica trip? Fill out this form and it will go to our partners at Vamos Renta Car and they will setup a reservation for you and contact you. This is a super simple, trustworthy way to make a reservation for your upcoming Costa Rica trip! 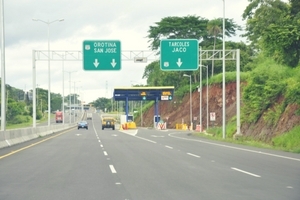 Or, Scroll down for articles about renting cars, driving and buying cars in Costa Rica! A few reasons are that the country lacks adequate signage, the infrastructure isn’t always in the best condition, and there are unspoken social agreements that everyone knows…unless of course, they come from abroad! 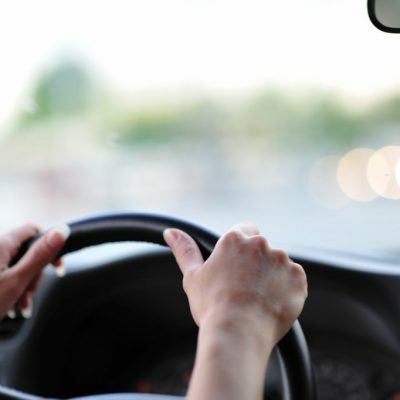 Driving in Costa Rica – What’s All the Honking About? That familiar early morning sound drags me from sleep again — is it the dawn’s chorus from brightly colored song birds, the low rumbling roar of howler monkeys beginning their daily fruit foraging? Nope. For most of us the idea of leaving the house without our cell phone is unthinkable now. We are accustomed to be contactable and able to contact anyone wherever we may be. We believe that your vacation should be no different so we provide our customers with a free cell phone for the duration of your car rental so that you have the reassurance of knowing that one of our highly qualified representatives is on the other line should you need us. How To Drive Like A Tico in Costa Rica And … Survive! If the vehicle ahead of you is swerving across both lanes in a seemingly alarming fashion, do not panic. The driver could well be under the influence or, more likely the driver is taking an intricate route through the lumps, bumps and gaping holes in the highway.